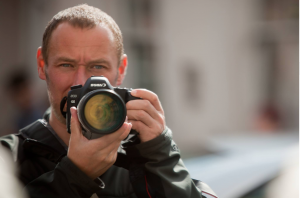 Matt has a BA and Masters Degree in photography and exhibits work on a regular basis. Matthew Jones is a professional photographer who loves what he does. Matt’s twenty years experience underpins his current practice that exploits a creative vision, high production standards and intelligent picture making, giving him an aptitude and versatility that his client’s really appreciate. His ethos is to provide clients with great looking photographs that have purpose and intent. He is an experienced tutor and trainer and loves to talk about and share his love of photography.